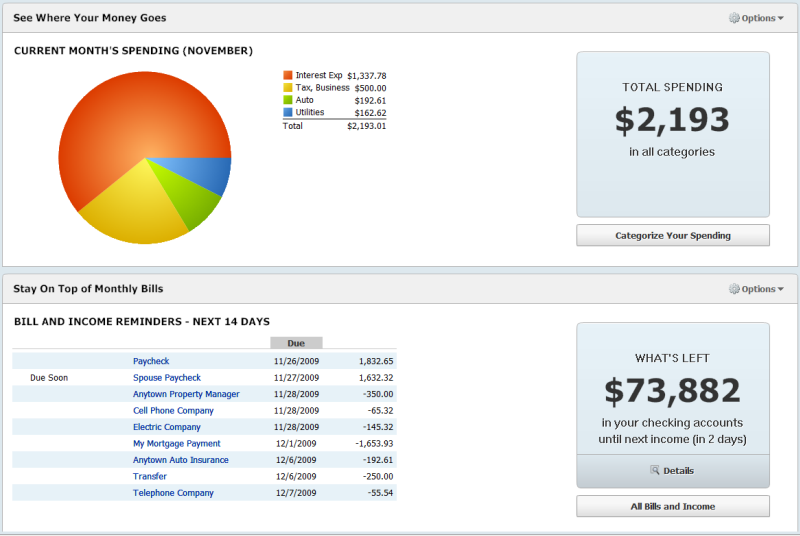 Quicken Deluxe 2010 Gives you money management and budgeting tools. Quicken Deluxe shows you what you have coming in, going out, and most importantly, what's left over to spend or save. Check in anytime to see exactly where your personal finances are for the week, month or year. See what bills have already been paid, what's coming up, and if you have enough left in your accounts to cover them all in one convenient place. Set reminders to pay bills on time and instantly check the status of past bills. Qweas is providing links to Quicken Deluxe 2010 as a courtesy, and makes no representations regarding Quicken Deluxe or any other applications or any information related thereto. Any questions, complaints or claims regarding this application Quicken Deluxe 2010 must be directed to the appropriate software vendor. You may click the publisher link of Quicken Deluxe on the top of this page to get more details about the vendor.